There are remarkable stories to be found as you walk from every period of English history on a Foot Trail. (Not all periods in all counties and geographical locations of course). Human history in the South West can be traced back a remarkable 500 000 years. Read on, for history & story inspired Foot Trails. The whole South West region was heavily populated during the Neolithic, Bronze and iron ages. Wiltshire is a place to see the surviving barrows, monuments and ancient trackways. And Celtic gods worshipped at the Temple of Sulis in Bath, which can still be seen today. 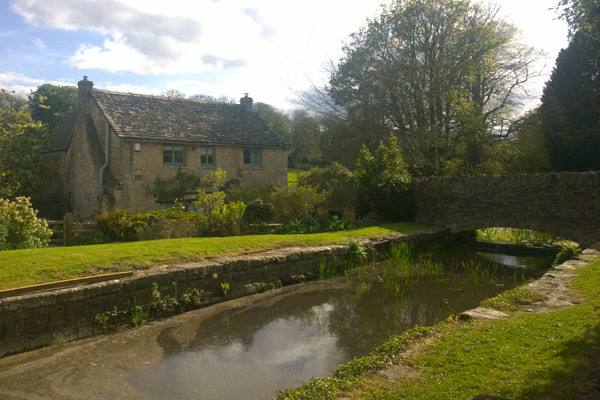 In the Roman era The Cotswolds were an important location and there are villas, farms and temples dating from this period including The Roman Baths. 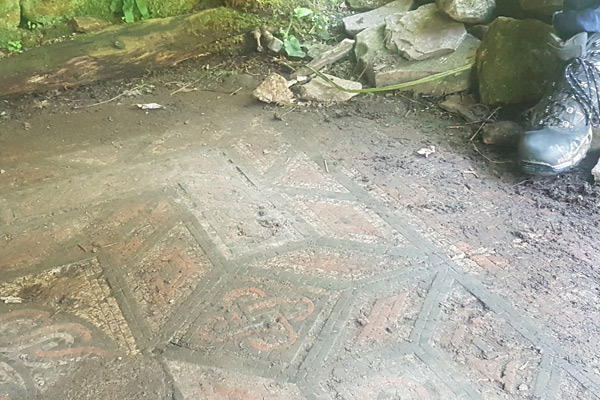 Following the Romans there is strong evidence of man from the Saxons (11th century) The Middle Ages (16th century) including medieval villages and cottages found in Wiltshire in the 17th century with the English civil war. Your trail cards will point out and tell you about interesting or important history you encounter as you walk. Stonehenge is one of the world’s most famous prehistoric monuments. 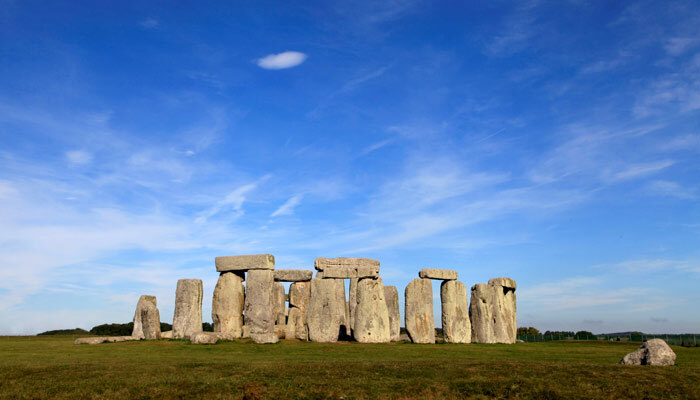 It was built in several stages but the first monument was an early henge built about 5000 years ago. At this time much of the landscape around Stonehenge would have been grassland. The early Neolithic people were hunter gatherers and lived off wild plants, seeds and nuts and hunted for fish using wooden spears. Book Stonehenge, Bath & Wiltshire. 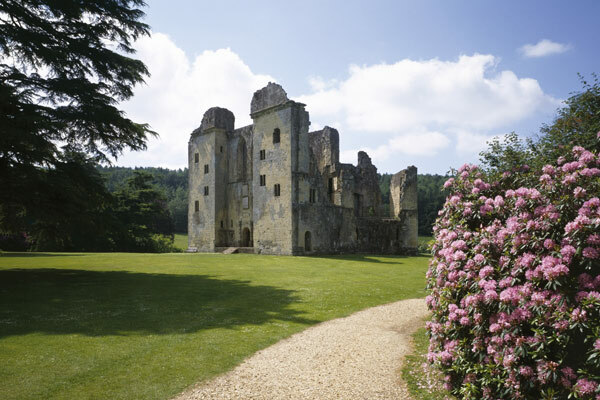 Wardour Castle is England’s only hexagonal castle. It was once of the most daring and innovative homes in Britain. It was built in the 14th century as a lightly fortifed residence for comfortable living and lavish entertainment. Although it took heavy fire during the civil war much of it remains explorable today. Try our Knights Medieval Castle for a flavour of the medieval. Several of our Cotswolds trails feature strong evidence and stories from the roman era. Corrinium was the Roman town of Cirencester and in its time was the largest town outside of London, in England. Close to the start of our Corrinium trail the Dobunni tribe created a capital, that is older than Cirencester. The Dobunni enclosed around 200 acres of land (100 football pitches) creating a capital that included a mint for producing silver and gold coins. For a roman flavour try Taste of The Cotswolds, Journey Across the Cotswolds and Complete Cotswolds. As you walk around Bath, there is a Roman city right beneath your feet! The Celts were the first to worship the waters here, although the water would not have gone un-noticed by earlier populations. 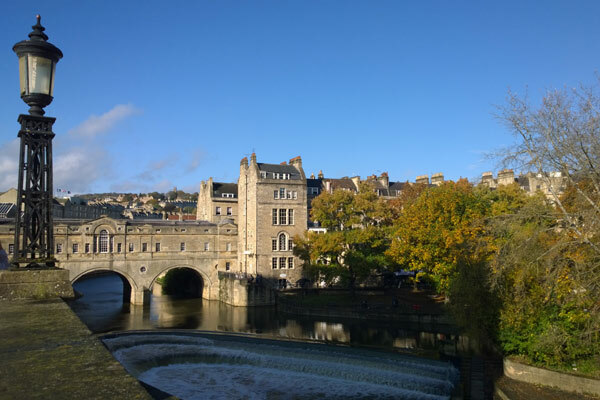 The Celts dedicated the waters to the goddess Sulis and when the Romans arrived they called the town Aqua Sulis and associated the waters with Minerva. Try Bath City and Country. Devon’s history is awash (excuse the pun) with tales of both shipwrecks and smugglers. Smuggled goods included brandy, tea, tabacco and silk. Discover these sea tales as you walk through the footnotes on your Trail Cards. 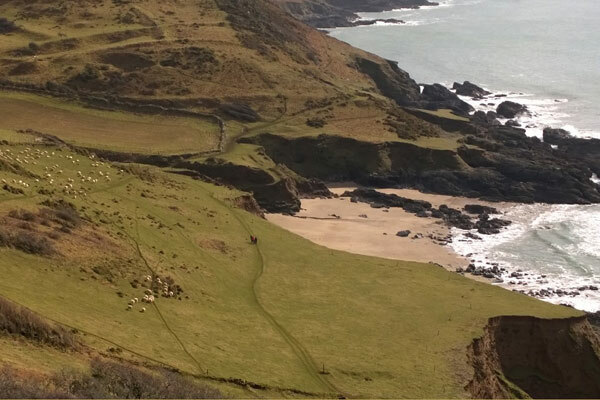 For tales of shipwrecks and smugglers try our Devon Coast Foot Trail. At Foot Trails our specialist knowledge means that we can create a trip centered around what interests you most. Maybe there’s a particular place or time in history you want to explore in-depth or simply find out more about England’s rich history.